Battersea High Street is a train, tube and bus ride away from my home. But its a place I’d been wanting to go for a while – not because the street is that great, but because if you turn off it, and walk down some nondescript residential streets for about five minutes, you will find yourself at Le QueCumBar, one of the most famous gypsy jazz venues in the world, decorated with portraits of Django Reinhardt, with tasseled lamps and surly-cute waiters with piano braces/suspenders (the poor bastards, I’d be surly too). As predicted, having a job and a social life and a long commute gets pretty time consuming, and I’ve had less time and interest in maintaining a blog than I had a year ago. But I love being able to look back at my own little scrapbook of adventures, so even though these next few posts are all Old News, they’re also treasured memories. The best things I’ve done in London in 2013 can be mostly attributed to the all-too-short sabbatical of my friend Mary, who did a 2-month research stint in London at the beginning of the year (and is now in Paris, the poor dear). Because she was only here for such a short time, we really mobilised and did All the Fun Stuff while she was here, including a trip to the Rain Room, which had been on my list since November. 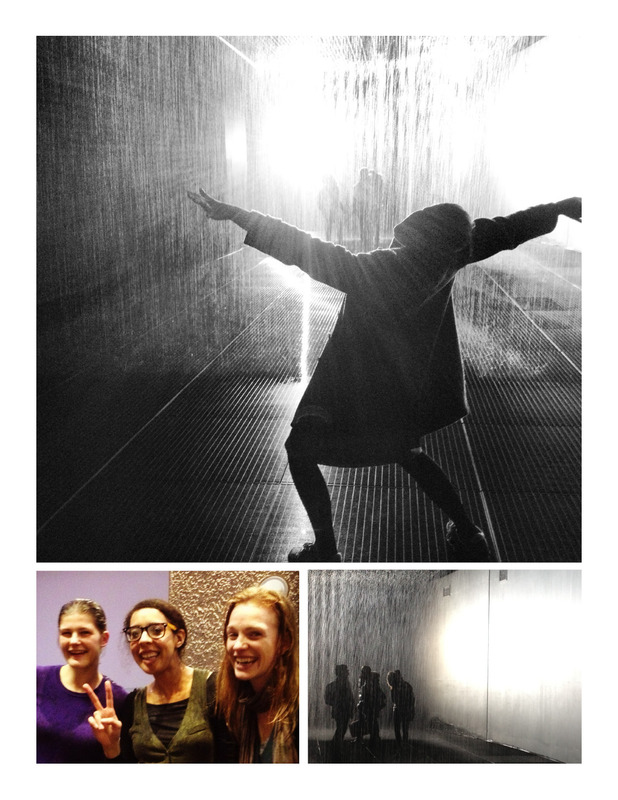 The Rain Room is exactly what it sounds like – a room full of rain. There’s a plaftorm on which it appears to be raining, but as you walk through the water stops above you. Its the world’s most high-tech sprinkler. Unfortunately, the five month installation is now over (apparently there were 6 hour waits in the final days). We waited two hours (I did a Supermarket Sweep of Waitrose and made a picnic, complete with single-serving wine bottles and chocolate-chip cookies, that we ate while waiting) and then had more or less unlimited time in the room itself (people were self-regulating because of guilt, and also because you do start to get wet and the novelty wears off a bit). 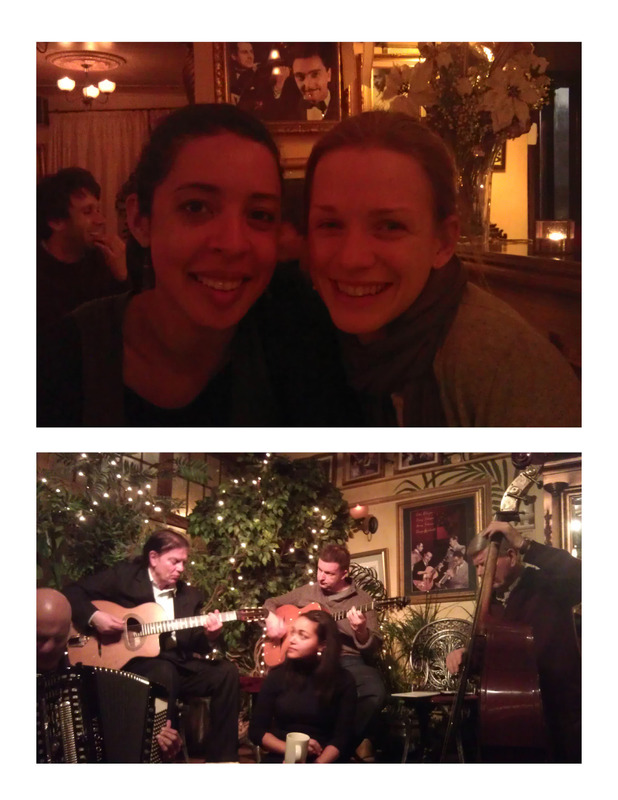 The whole thing was, as my New Friend Kamilla pointed out, very First World, but also totally captivating.